My boys and I love to read books together. I have great memories of reading books with my mom growing up. It is a quality activity to do with your children, and I encourage you to read to your kids as much as possible. I thought I would share some of our favorite books for the 1- 3 year old age range. It feels weird to be writing a post that is not about cooking or crafting, but this blog is also about life with two boys! 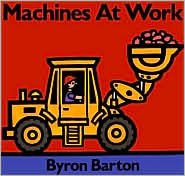 Since Jack was a year old he has loved Machines At Work by Byron Barton. This simple board book is now also favorite of Ethan's. We have it memorized because we have read it so many times. Byron Barton's books are nicely illustrated and appeal mostly to this age range. Other favorites by Barton are Trucks and Trains. Opposite books are a definite for teaching this age range. Our favorites include Yummy Yucky, Quiet Loud, and Big Little by Leslie Patricelli. They are funny and the boys love to help read as we go through what is yummy and what is yucky, or what is quiet and what is loud, etc. Patricelli has written and illustrated other books but they just don't measure up to the three I mentioned. 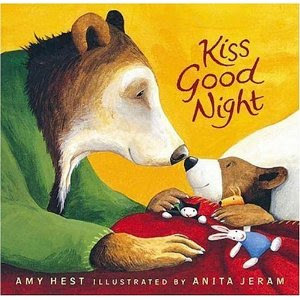 A favorite bedtime book for Jack was Kiss Goodnight by Amy Hest. It is a great story about a bear cub who needs his good night kiss before he can go to sleep. 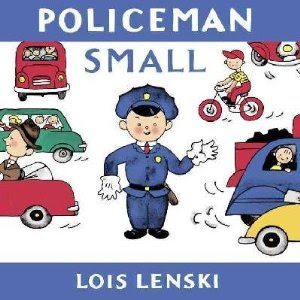 Next is Policeman Small by Lois Lenski. Lenski's books are classic; I remember reading about the Littles and Mr. Small when I was young. They can be difficult to find online so try a second hand book store. The board books are shorter in length than the hardcover paper books, and more appealing to this age group. 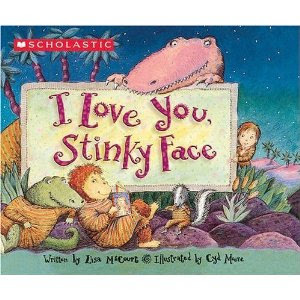 And our last pick is I Love You Stinky Face by Lisa McCourt. This is a story of a mother's unconditional love for her child, no matter what scary creature he imagined being. It is also a good bedtime pick as the story is about a mother tucking her little one into bed. I hope you enjoyed the feature on our favorite children's books. Coming up soon will be our top picks for the 3-5 year old age range. I would love to hear what your children's favorite books are, please leave a comment and share! Oh, we loved "yashweems" at Work. We haven't read the last one but it sounds cute. 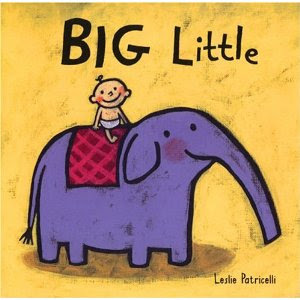 We own 'Big Little' and love it. I'd love to own the other two, as well! You have mentioned some of my son Finn's favorites! We love all the Leslie Patricelli books, and we've checked out Machines at Work from the library several times, renewing it each time. Good picks!